This is the first camp ever offered by Club SciKidz! 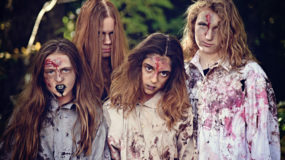 Newly revised, with a zombie theme, and more exciting than ever, campers learn the science behind Hollywood’s special effects. Activities will demonstrate concepts related to light, sound, perception, illusion, and model building. One of the great features of this camp is that all campers will create (and take home!) a movie using techniques in Claymation and Stop-Motion Animation. Lessons include plot development, story boarding, set building, filming, and sound effects. 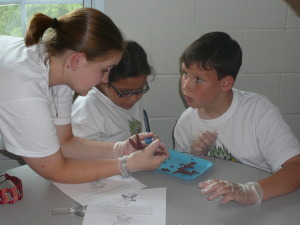 Campers will also learn various special effects make-up techniques working with the same materials used by professional make-up artists. They will simulate cuts, bruises, artificial blood, and old age. Is there a future movie director living in your house? This is a camp your child won’t want to miss! Please have your moviemaker bring a 4G Flash Drive to camp to save their movie.